As part of Tangerine Software's comprehensive suite of enterprise software consulting services, we will help you design and develop an innovative and dynamic infrastructure in order to deliver improved business responsiveness and return on investment (ROI). As a provider of global ERP, BI and IT consulting services, we integrate our enterprise software knowledge with our hardware and network value-add consulting services to provide our customers a complete business solution. As a long-standing certified IBM business partner Tangerine Software is able to offer companies of any size and complexity, a complete range of IBM application servers, including IBM System x and System i. These innovative servers support a variety of operating systems and enterprise software applications. IBM System x servers provide Intel processor-based server solutions designed for Windows, Linux, Novell and other operating systems. They incorporate mainframe-inspired technologies and intelligent management tools for real hands-off reliability. As part of the IBM hardware portfolio for e-business, these performance-balanced servers provide outstanding value by combining scalable performance and availability features at an affordable price. For Sage ERP X3 software, the IBM System x servers are the perfect choice. IBM System i servers offer support for running i OS, UNIX, Linux, Lotus Domino, Java and Windows. These very reliable application servers will support your mission-critical enterprise software solutions and web and mail servers, securely and without interruption. 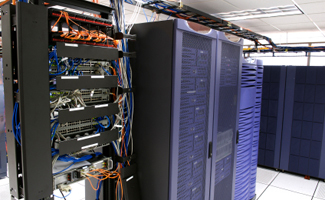 For Infor System21 Aurora software, the IBM System i servers are the only choice.